The Hubble Space Telescope has given us some spectacularly colorful images in the past, but this image, which takes the full variety of colors that the Hubble Space Telescope is capable of capturing, from ultraviolet all the way up to nearly infrared, and pools them all into one image, is the best yet. 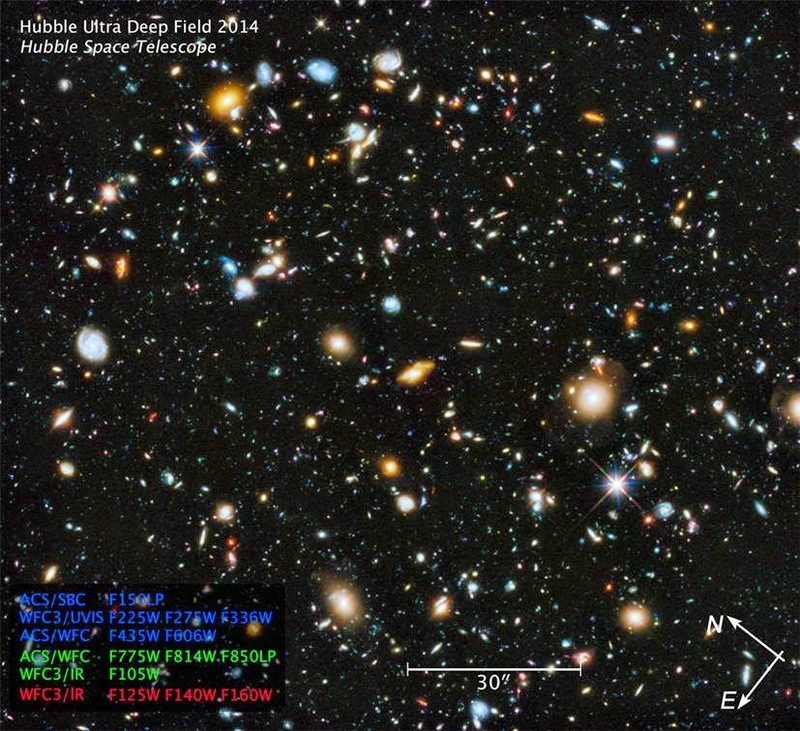 It took nine years or 841 complete Hubble orbits of capturing to get this spectacular composite image, which covers over 10,000 galaxies, some of which act as they did just a few hundred million years or so after the Big Bang. In addition to being lovely to look at, this look at the colors of the universe is also technically important, giving scientists their first really good look at what is happening on the ultraviolet light spectrum deep down in the universe. By looking at the ultraviolet light deep in the universe, scientists say that they can get a considerably better idea of just what is going in with the procedures and growth of star creations.